With the new moon's arrival Wednesday, that means some of the highest tides of the month coinciding with some of the biggest waves we've seen in months. 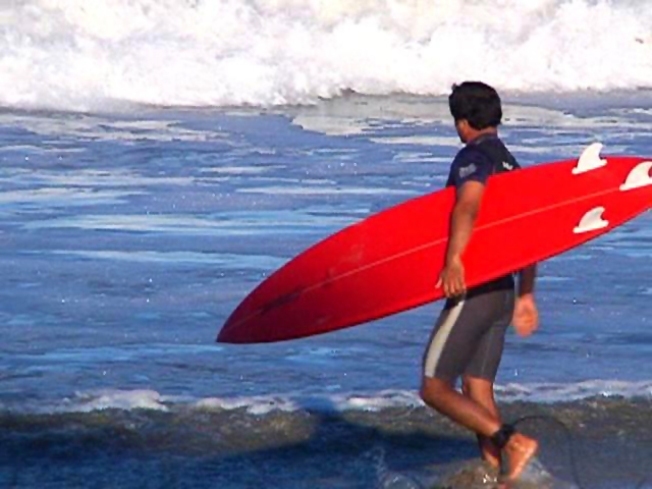 A high surf advisory, posted through midday Thursday, warns of 8-foot breakers on west facing beaches and possibly even some 10-12' sets hitting a couple of times every hour or so. 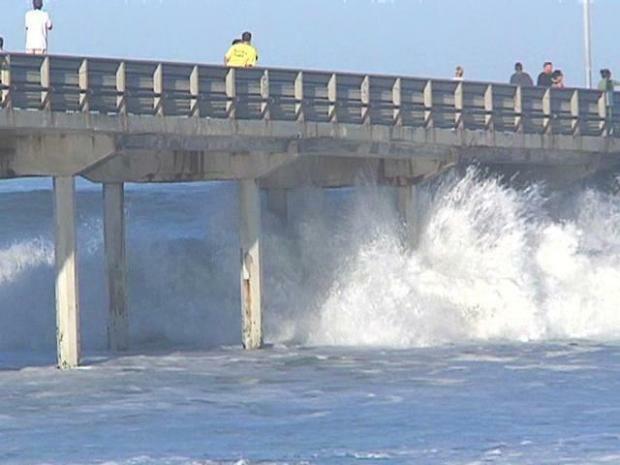 That's also prompted the National Weather Service to post a coastal flood advisory and a small craft advisory in addition to keeping an eye out for the unusually big waves. With those waves come the winds. We saw some 30 and even one 40 mph gust very early this morning but the strong north-easterlies should start easing off later today. Surfers were stoked for the return of Big Wednesday. In fact, we should start getting back to more normal weather across the board on Thursday as a low pressure system approaches the west coast. This will chase away the intense high pressure that's producing all the heat and replace it with clouds and cooler temperatures over the weekend - but, no rain, just the return of the marine layer. One more day of Santa Ana winds, heat and dry, dry air. By Thursday we should start feeling and seeing some relief but not today; if anything, it will be even hotter than yesterday. Valley temperatures are expected to top out in the upper 90s with a couple of spots possibly hitting 100. Near the coast, we're looking for an 88 downtown though that's where we ended up Tuesday at Lindbergh Field so it could even be a degree or two warmer today. And, if you're lucky enough to head for the beach you can plan on some of the warmest weather of 2010 with highs promising to hit the mid 80s and beyond. Trouble is, you might have problems even finding the beach, at least during the periods of high tide.